An easy-to-use music manager for serious music collectors. It catalogs CDs, M4A, OGG, WMA, FLAC, WAV and MP3 files and rips CDs, converts and levels audio, tags & organizes files and playlists, and syncs with iPods, MP3 players and phones. 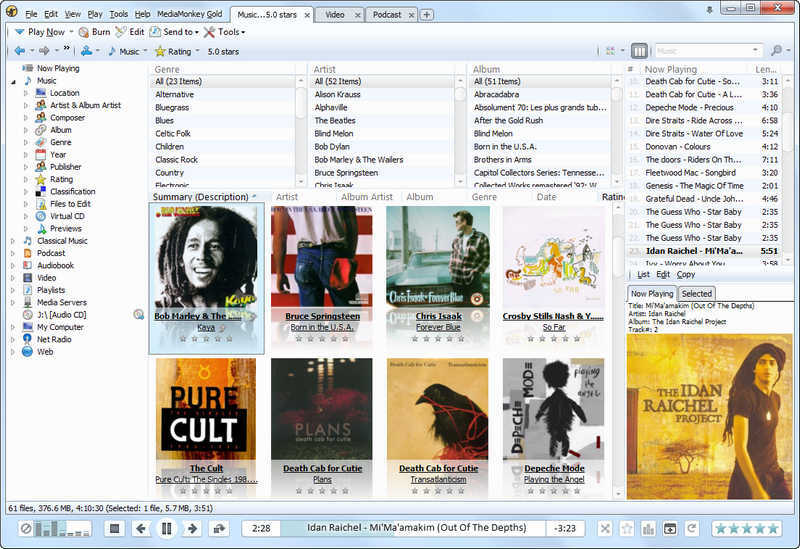 MediaMonkey 3.0.7 - Intuitive music manager for serious collectors. Rip, tag, sync & convert music.